Chris Jackson / GettyMeghan Markle. Meghan Markle was reportedly baptised in a secret ceremony this week. She was confirmed into the Church of England by the Archbishop of Canterbury on Tuesday. While this is one tradition the American Protestant has chosen to follow before she marries Prince Harry, there are plenty she is pushing aside. Meghan Markle was reportedly baptised into the Church of England by the Archbishop of Canterbury in a secret service on Tuesday evening. According to the Daily Mail, 36-year-old Markle had Prince Harry at her side during the 45-minute service which took place at the Chapel Royal at St. James’ Palace, and involved the “full ritual of the Church” saw holy water from the River Jordan from the private Royal Family font poured on her head. 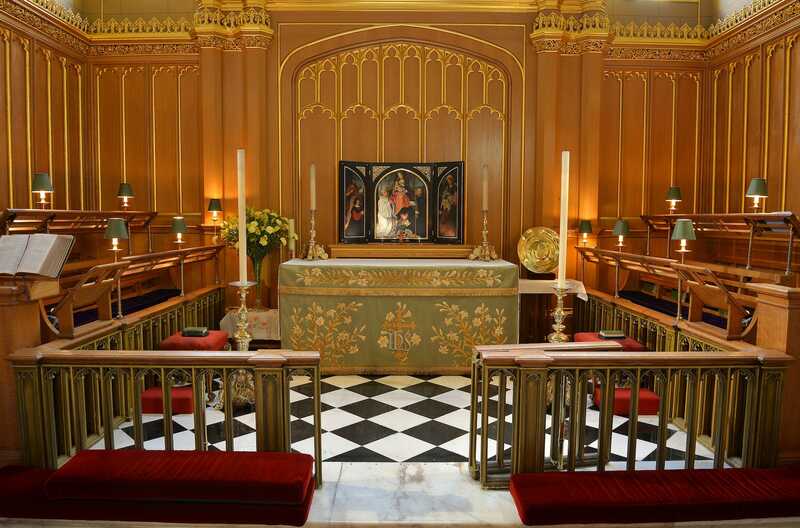 The Chapel Royal is near and dear to the royals, as it’s where Princess Diana’s body was kept the week before her funeral and was also the place of Prince George’s christening in 2013. Princes Charles and the Duchess of Cornwall reportedly attended the baptism, but Prince William, Kate Middleton, and Her Majesty the Queen were absent. The royal-to-be apparently had to have two “sponsors” as part of the ceremony, and chose a close girlfriend as one of them. The baptism was followed by Markle’s confirmation, which means she will be able to join Harry at Holy Communion, and the ceremony was reportedly followed by a dinner at Clarence House hosted by Charles and Camilla. 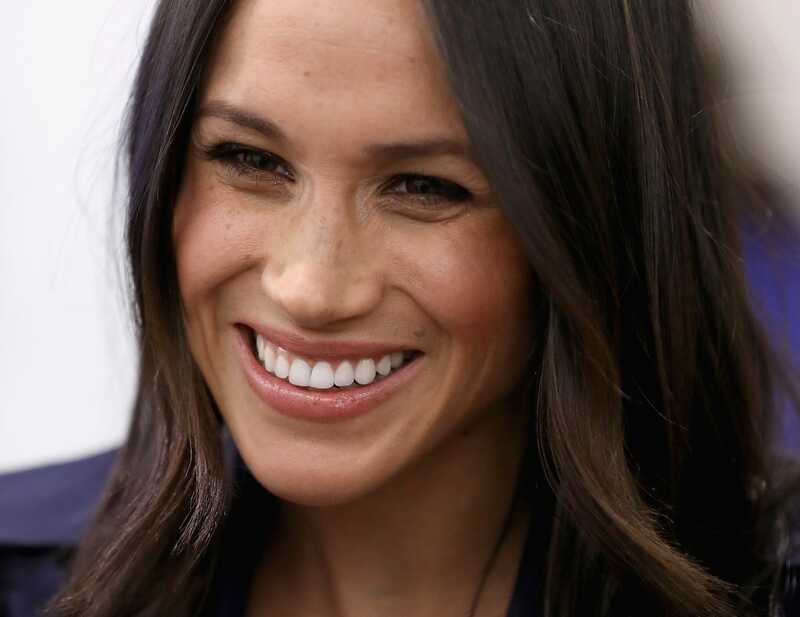 In November 2017, Kensington Palace announced that Markle, an American Protestant and divorcee, would become a British citizen and be baptised and confirmed into the Church of England before her wedding to Prince Harry. While she did not need to become Anglican in order to marry into the family, she reportedly chose to do it out of respect for the Queen, the head of the Church of England. While this is one tradition Markle has chosen to follow, there are plenty of ways she smashes royal stereotypes and is pushing traditions aside. After the couple get married at midday St George’s Chapel on Saturday May 19, it is understood that Markle will give a wedding speech at the reception – traditionally in Britain, only the groom, the father of the bride, and the best man make a speech. The couple has also announced that they will be inviting over 2,000 members of the public into the grounds of Windsor Castle to watch part of their wedding. At 1 p.m. Harry and Meghan will embark on a carriage procession from St George’s Chapel through Windsor Town returning to Windsor Castle along the Long Walk, which will offer some members of the public a glimpse of the newly married couple. There will be a reception for the couple and their guests from the congregation at St George’s Hall following the service, while Prince Charles will host a private evening reception for the couple and their close friends and family later that evening. You can find out what time the royal wedding will start wherever you live in the world here.